Hoorraaaah! It's finally that time again, running up to the weekend and bringing to you a new feature! This week's feature is packed with old fashion glamour bringing it to the town of Newark, Vintage Vixen. 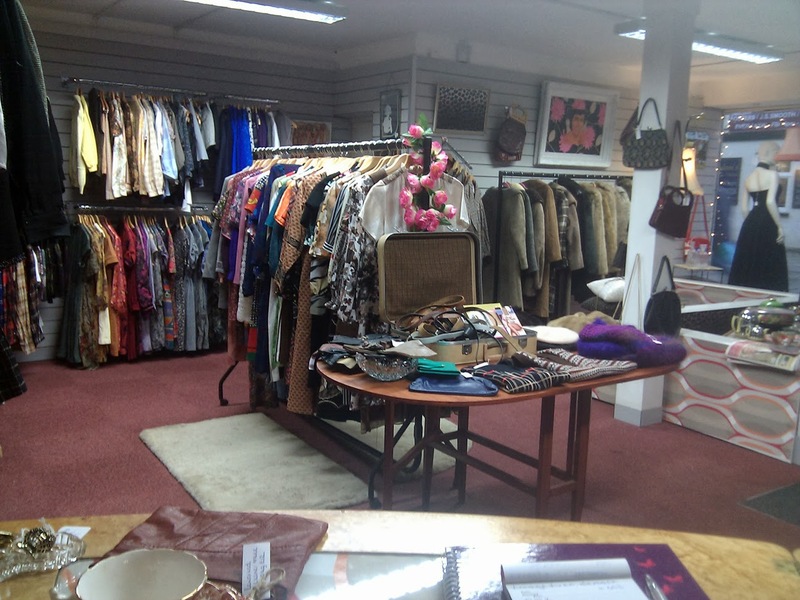 They are a small independent store within the market town of Newark, selling Vintage clothing, handbags, accessories and home ware. The staff are so pleasant and friendly as soon as you walk through the door, helping you in any way if you have something in particular that you're hoping to find! Currently held a recent fashion show for customers and word of mouth to see their latests stock too with more events to come in the future! Funnily enough, I was put on short time at my office job when the recession hit and was looking for a way to earn a little extra cash. So I began with a market stall selling a small selection of vintage clothing one day a week. I have always had a keen interest in vintage clothes and a large wardrobe but never dreamt it would lead to a career change and to be honest sat on my market stall every Saturday in the sleet and sometimes the snow I thought a shop was 'pie in the sky' talk. But I gradually began to get regular customers and to this day their on going support has been absolutely tremendous. I then moved to the shop only opening on limited days and ran the business along side my 'day' job for a year before I was semi confidant to go for it. I have been full time at the shop for almost a year now and so far I have no regrets, it's great, hard work but great. The fact that I practically skip to work every day! I love to please and it's fantastic to share someone's joy when they find that perfect dress for a certain occasion or they put on a jacket that makes them feel super confidant. I love sourcing specific items for customers and you really do meet so many lovely people in this job who have the same passion. I strive to create an eclectic mix of stock and my mind is constantly ticking with new ideas. I love sourcing specific items for people and still get an amazing buzz when new pieces arrive at the shop. I'm very lucky, I love my job, it's the best ..... certainly no Monday morning blues! 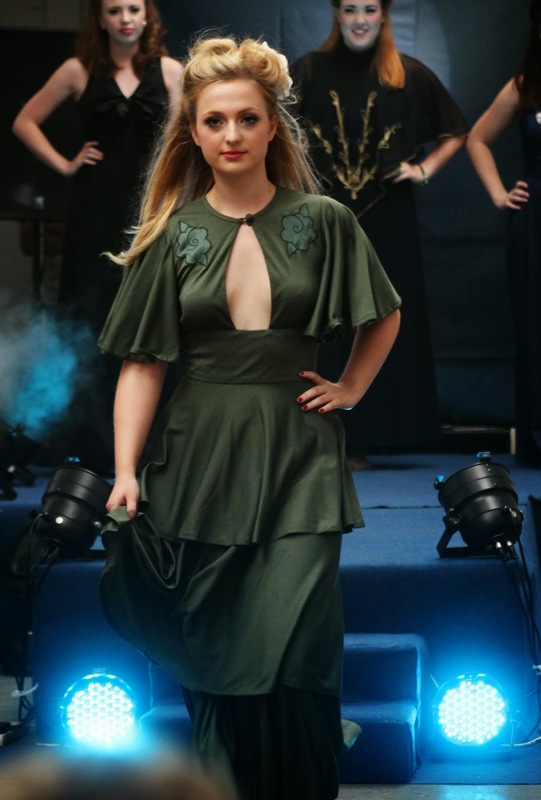 We're only just coming up to our second birthday at the shop so we're still a relatively new business but we have already held three fashion shows in aid of Macmillan Cancer Support. The first show was one of the scariest things I have ever done and we showcased well over 140 outfits that night, from original dresses from the 1950s and 60s to more modern vintage denim and leather, typical festival wear. At the end of the evening when the models walked the finale along with myself and my friends who had helped backstage I couldn't have been prouder. Needless to say there were tears. It was honestly the best night of my life. It would be great to expand obviously, perhaps larger premises but we'll see! I am very keen to develop the online business. I currently have an Etsy shop linked to the website but tend to concentrate more on the shop to be honest at the moment. But online sales are now very much on my agenda and I intend to build a more prominent online presence as soon as possible, watch this space! Test the water first, make sure the demand is high enough. Be prepared for long hours, hard work, no holidays, sounds terrible doesn't it???!!! But seriously there are good days and bad days, it's not easy but if you're passionate about it, people will almost certainly tell you you're crazy but go for it ..... life's too short for regrets. I currently have some great original 1950s dresses and a good stock of vintage faux fur and sheepskin coats ready for the winter weather. We also have some fabulous vintage evening and cocktail dresses, costume jewellery, faux fur stoles and wraps in preparation for the party season I adore winter vintage fashion, tights, layers of knitwear, scarves under a curly sheepskin coat ..... in my opinion it's vintage at it's best! It's been wonderful getting to know Clare and her business, and I wish them all the very best for the future! Check out their links and have a lovely weekend! Big thank you to Ellie for the feature. If anyone has made contact via my website I am experiencing difficulties at the moment. Some of my messages are going directly to spam which delete automatically. Hopefully this is rectified so please re-send your message and I'll get back to you asap. Thanks so much.